Is it really so difficult for someone on TV to be Jewish when it isn’t Christmas? Ah, Christmas. The time of year when TV writers reveal that one of the characters in their United-States-set Christonormative show is, in fact, just for this episode, Jewish. 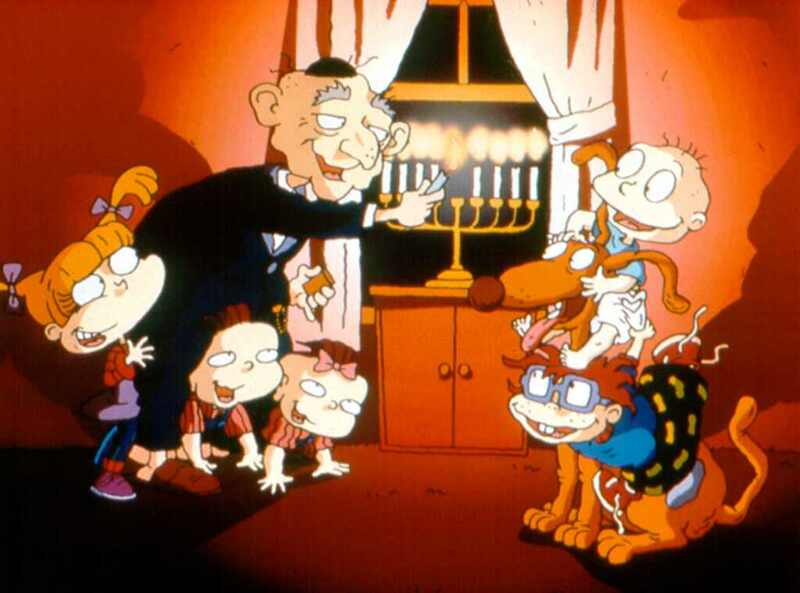 Never mind that this character has never said or done anything to make you think that they’re Jewish; now they have a menorah, so the network executives can sit back and relax knowing that they’ve done their part in representing minorities, and forget about the issue for another year. Sometimes it feels like the Hollywood hivemind thinks that Jewish people only exist while celebrating Chanukah, or that it is too difficult to characterize a Jewish person when the story they’re writing isn’t explicitly about Judaism. Speaking as someone who is Jewish every day of the year, and who is a writer, a story doesn’t have to be “about” Judaism in order to have Jewish characters! Here are six simple ways to show that a character is Jewish without waiting for everyone else to break out the Christmas lights – and I don’t mean by playing into stereotypes. Christians go to church on Sunday morning. Jews go to synagogue on Friday night and/or Saturday morning. If the Christian characters in a show can’t attend an event or solve a problem right now because they have to go to church, on different days of the week that’ll be an issue for Jewish characters, too. This also goes for characters who don’t attend religious services. Sometimes in TV shows characters use “I’m at church” as a cover-up for what they’re actually doing. That would work on a Sunday for a Christian character, and a similar excuse for a Jewish character on a Friday or Saturday would be that they’re “at the synagogue”. Pretending to be at a religious service is an equal-opportunity lie for people of all religions! Do we see a character’s house? Are there pictures of family members on the walls? Is anyone in the photos wearing a kippah or tallit? Odds are good that these pictures were taken at family events. A Jewish wedding photo might include the couple standing under a chuppah or being lifted up on chairs. If the character had a bar or bat mitzvah, there might be a picture of them as an early teenager reading from the torah. If the character’s family took a trip to Israel, they definitely took pictures at all the hot tourist locations—the Dead Sea, Mount Masada, or the Old City of Jerusalem. Also, since this is the 21st century and all, these pictures could easily be on a character’s smartphone! What else is in the Jewish character’s house? Is there a mezuzah on their doorpost? A set of Shabbat candlesticks on the kitchen counter? A poster from a Debbie Friendman, Dan Nichols, or Barbra Streisand concert on the bedroom wall? A t-shirt from a NFTY event in the closet? If the character is married, is the ketubah on display somewhere? Of course, not all Jewish people have these specific things, but we have options here. There are a lot of them, so take your pick. I’ve talked about this before: Chanukah is fun, but religiously it isn’t really that big of a deal. Yes, some Jewish people only celebrate Chanukah, just like some Christian people only celebrate the secular aspects of Christmas. But right now that’s the kind of Jewish people that we’re most likely to see on TV. And there is so much more to Judaism, and to Jewish people, than that. We deserve some screentime the rest of the year!